It's saturday, that means PARTY! Today are Carnivals here, in my village, so I'm going to be Dustin Keller one more time! I'll try to take good pictures and make one touchdown at least. Oh my gosh, what a coincidence! 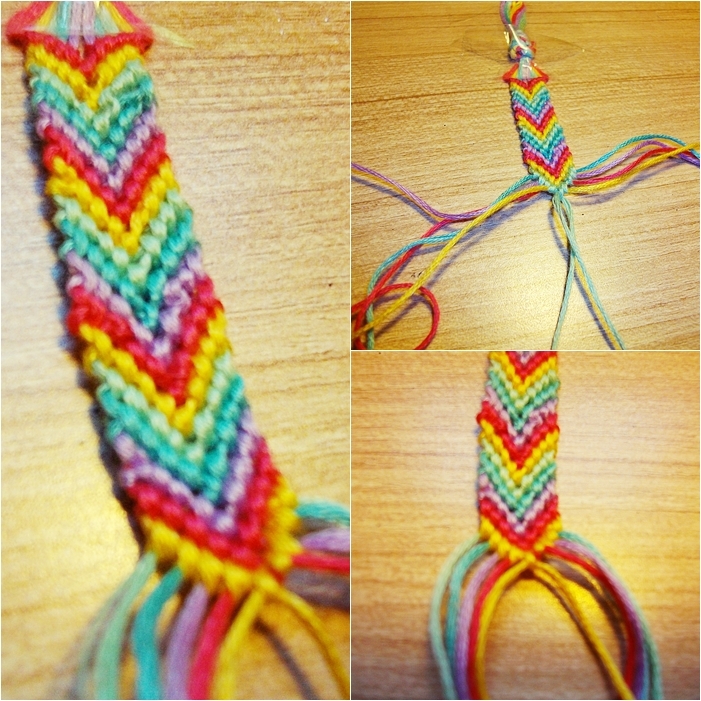 Haha, I've been making friendship bracelets non-stop for the past few weeks! Yours looks amazing. Yo quiero ver fotos de ese disfraz, ya :) Me encantan los colores del brazalete, por cierto. It looks great!! Need to try this!